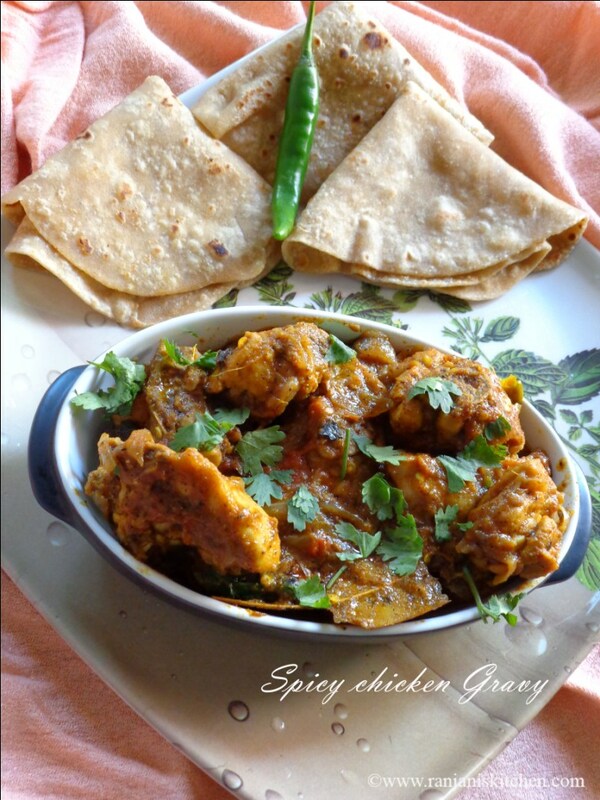 This spicy chicken Gravy is a semi dry version which tastes great with all Indian flat breads. I can say the freshly grounded pepper powder adds extra flavor to this recipe. 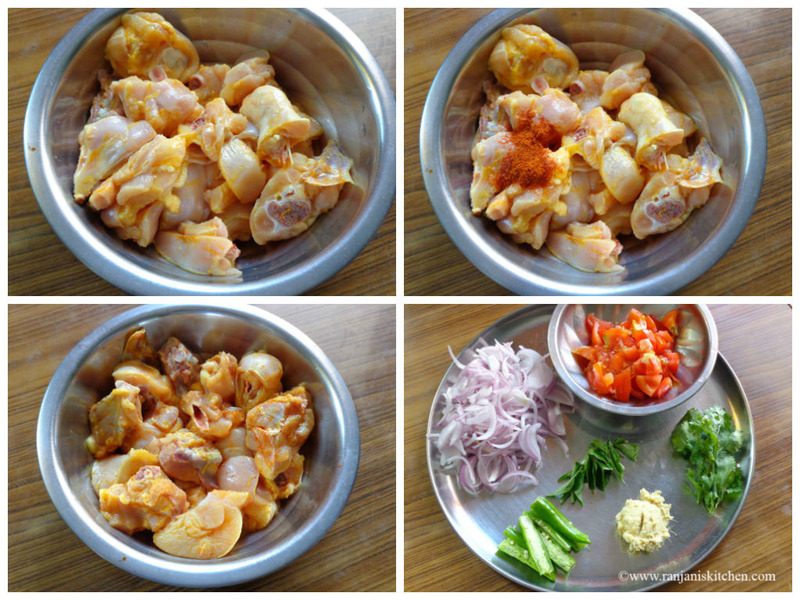 Wash the chicken and marinate with the given items under “ to marinate” for 30 mins.Chop the onions, tomatoes , green chillies and keep aside. 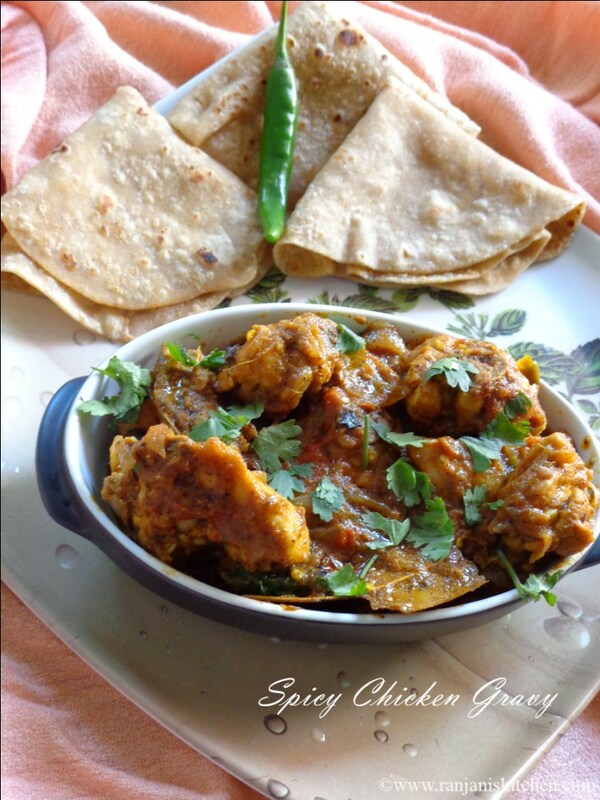 Heat the strong bottomed pan, pour oil and season with the given items under “ to temper”. 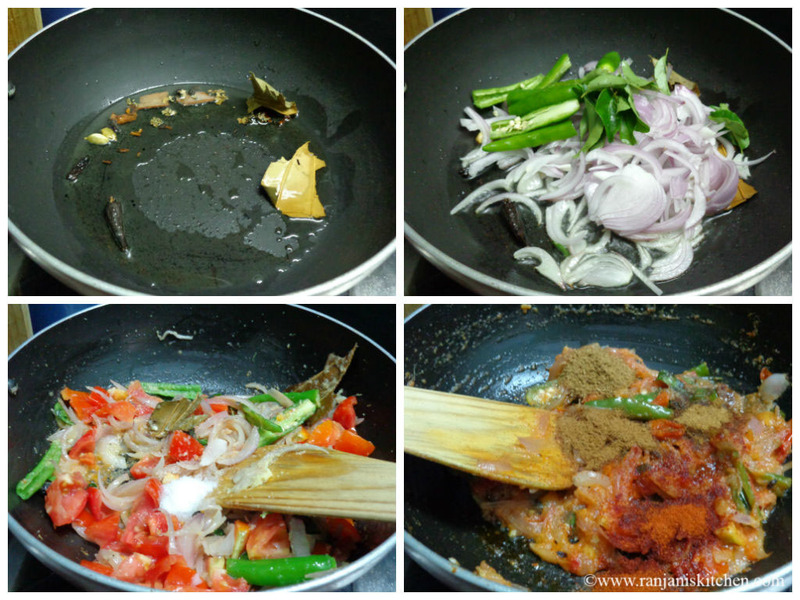 Then add chopped onions, green chillies and curry leaves. Once the onion turns transparent, add ginger garlic paste. Stir well until the raw smell leaves. Now add the chopped tomatoes and sprinkle some salt over it. Stir and cook well till the tomatoes reaches pickle consistency. Then add the spice masalas(Turmeric, Red chilli powder, coriander powder, cumin powder and garam masala) stir for 2 mins and then add marinated chicken. Add salt and give a stir in frequent intervals. No need to add water. It will cook with the water leaves from chicken itself. Stir for few mins and add pepper powder over the chicken. Give a quick stir and cook covered with a lid for 8 to 10 mins . Check whether the chicken is cooked well.Then turn off stove once it reaches the semi dry consistency and garnish with coriander leaves. Wash the Chicken 2 to 3 times well. Then add turmeric for last 2 rinses. No need to add water. The water which leaves from chicken is enough to cook. Try to add the freshly grounded pepper powder for good taste. 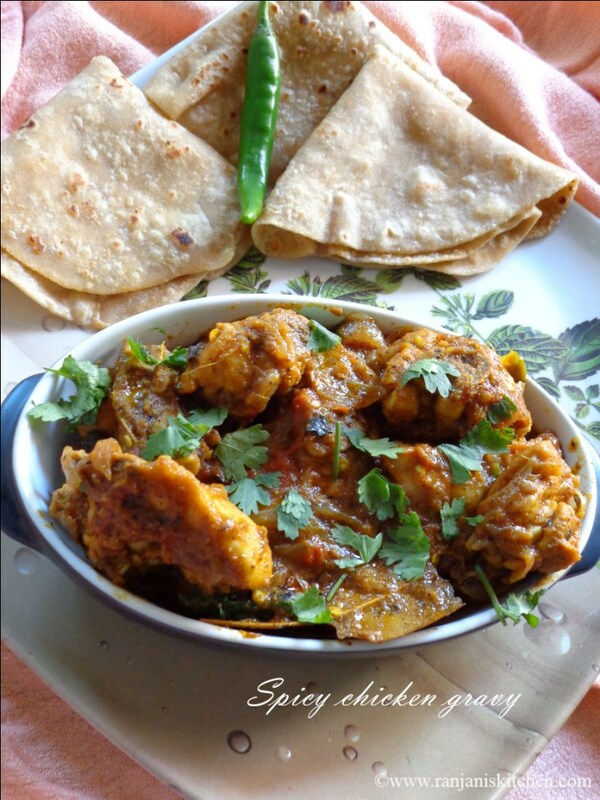 This semi dry gravy goes well with the accompaniment of all Indian flat breads.Its good for the side dish of rice as well.